We were invited by Naomi Cleaver Ltd to design and produce a bespoke cabinet for one of their clients in London, England. This piece is shown in American black walnut with a natural oiled finish. 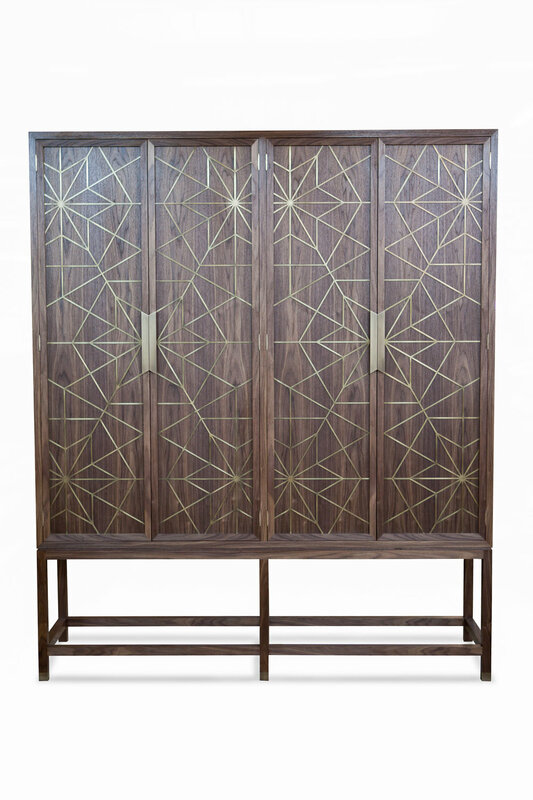 The surface pattern seen on the doors is achieved with precision cut patinated brass fretwork.